Years after a contentious split with frontman Danny Worsnop, everything seems to be working out fine for Asking Alexandria. The band confirmed that Worsnop, who rejoined the band two years ago, will be working with the band on their next album. While the future looks bright for the metalcore band, they have dealt with some turbulent times in recent years. In January 2015, Worsnop left the band to perform with his new band, We Are Harlot. Asking Alexandria stayed together and added Denis Stoff, the former frontman of Make Me Famous and Down and Dirty, as their lead vocalist. The new lineup of Asking Alexandria continued to tour and eventually released their fourth studio album, The Black, in 2016. However, later that year fans began to suspect the band had patched things up with Worsnop after pictures of him with lead guitarist Ben Bruce surfaced online. 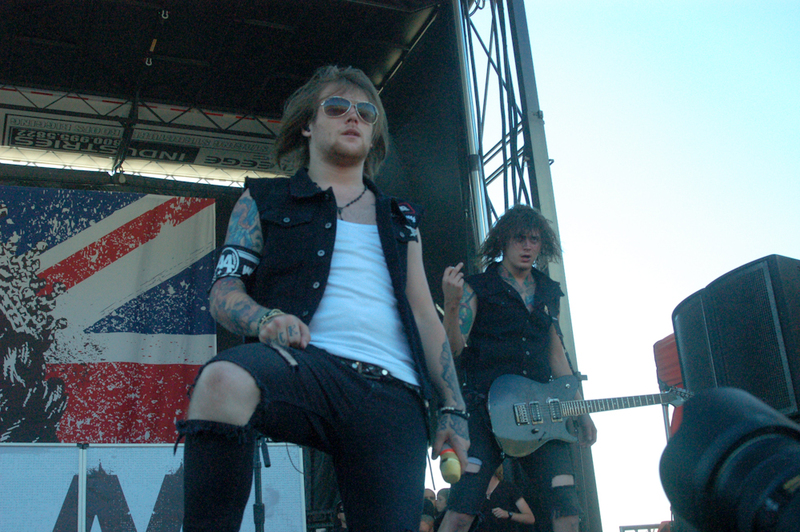 Days later the band announced that Stoff had decided to leave the band, and Worsnop would be returning. The band would go on to release their fifth studio album, that was merely named Asking Alexandria. Since leaving the band Worsnop had not only continued touring with We Are Harlot, but had released a solo album. The singer decided to try his hand at country with the release of “Anyone But Me”, off his album The Long Road Home. Despite previously insisting that he is interested in rejoining the band, it looks like Worsnop is happily moving forward with Asking Alexandria. As of now, the band has not revealed any information on when fans can expect the new album.